All to edit the default paste preset settings. 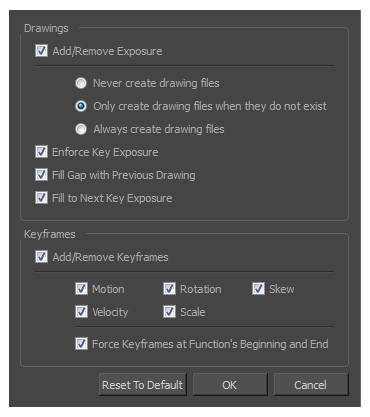 Key Frame to edit the preset settings for pasting key frames. Exposure to edit the preset settings for pasting exposures.